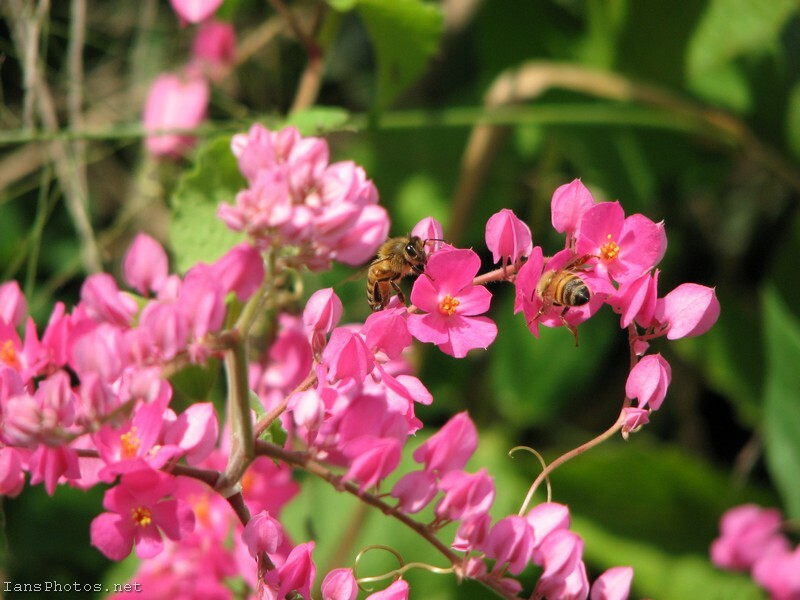 The coral vine plant has bunches of vibrant pink flowers that makes it stand out to anyone that likes colors or flowers. As you can see from the picture it is also a favorite of bees. When the flowers fade and dry they produce a seed that isn’t too hard to start a new vine from. Cora vine can grow all over the place if left to itself. You could try cutting it back and see if it will grow into a bush. The leaves are heart shaped. If you decide to grow one it will be worth the effort.